We’ve all seen them – emails offering employment opportunities that simply seem too good to be true. That’s because they usually are. While the prospect of easy money for very little or no effort might look tempting, otherwise good people can find themselves in a bad situation. An email arrives with a realistic company logo and a well-crafted offer. Once hired, you’ll be sent a real check to cash, with instructions to load the funds to a GreenDot credit card, but you’ll get to keep a portion of it as a commission for your efforts. Sounds easy, right? 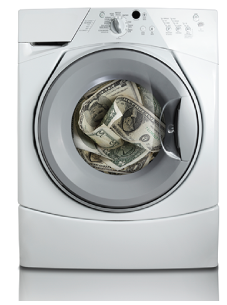 What’s actually happening is money laundering, and it’s quite illegal. By involving you, the recruiter is hoping to obscure the financial trail, but it puts you at risk of being prosecuted for acting as a “money mule” for an illegal operation. What to do? At the very least, ignore or delete any such communications that come your way. If you are unsure about the legitimacy of any such offer coming to you from an established company, contact that company through its public website, not the contact information listed in the email. If you’re still not sure, contact LMCU’s Fraud Prevention office at 616-242-9790 Ext. 9977.